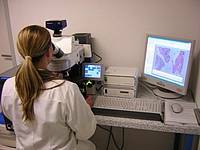 We support you in implementing your research objectives as well as in case of legally required tests. Here you'll find the GVO documentation form. Link to the Gentechnik-Aufzeichnungsverordnung (GenTAufzV),only available in German.